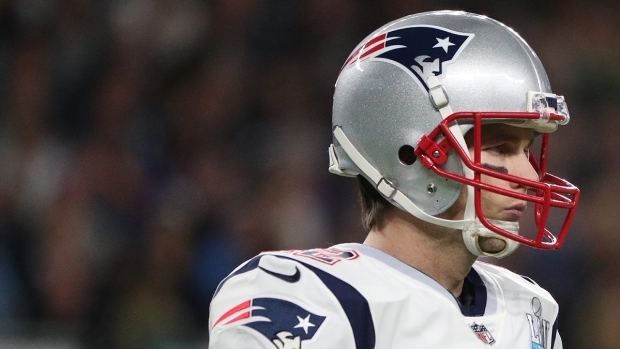 The agent for Tom Brady told ESPN he expects the quarterback to return for the 2018 season. ESPN's Adam Schefter said Brady's agent, Don Yee, told him "he expects his client Tom Brady to return for 2018 season." Schefter had reported last week that Brady still had not committed to playing next year. Tom Brady’s agent, Don Yee, said he expects his client Tom Brady to return for 2018 season. Just last week, multiple sources said they believed Brady would return for 2018, but didn’t know it. One source estimated there was a “75 percent” chance that Brady would be back. He is. Brady was not in attendance for the start of the team's offseason program last week. He had been in Quatar on a business trip, but returned home last Tuesday. If Brady had decided to retire, it would have been a huge blow to the Patriots - especially after they traded backup quarterback and heir apparent Jimmy Garoppolo to the San Francisco 49ers last year. Right now, the only other quarterback on the roster is journeyman Brian Hoyer, who is 16-21 as a starter in nine NFL seasons. He went 0-6 with the 49ers last season prior to being released after the team acquired Garoppolo.